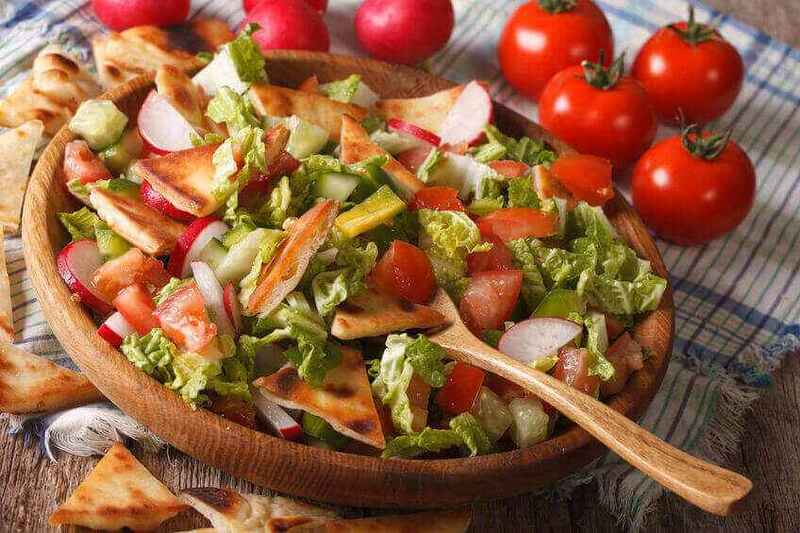 This is the classic Lebanese dish, fattoush, which is enjoyed throughout Lebanon, Syria and Jordan, as it is one of those dishes that have evolved from a surplus of leftover bread. Sumac is an essential component of this salad. Place all the vegetables in a bowl with the parsley and bread. Combine the oil with the lemon juice and garlic and pour it over the salad. 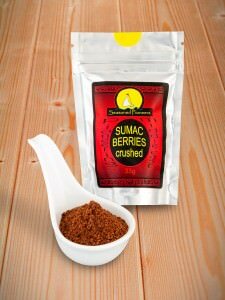 Sprinkle the sumac over the top and season with salt and pepper. Toss the salad well, making sure the bread is coated in the oil and sumac. 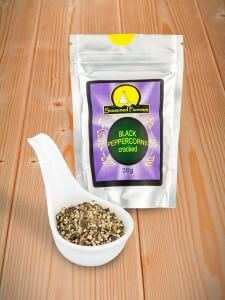 Serve immediately as part of a mezze spread, or on its own as a snack or light lunch.